W. Edwards Deming urged organizations to establish relationships with suppliers and stick with them, even when they could save a few pennies by changing to another. He knew that the reduced price was usually a loss leader and that the changeover would cost more than the savings. We have not yet learned this lesson in safety. We farm out services and products to the lowest bidder, assuming the quality is the same and that continuity of provider has no value. We also assume that a consultant who specializes in one service, or a manufacturer who specializes in a particular product, is superior. These assumptions are not necessarily so. The relationship with a provider can make them more valuable than price, product or service. Someone who really takes the time to understand your business can often tailor to your needs much better than a subject-matter expert who doesn’t know or understand your organization. The relationship is often what gets you superior support, preferential treatment and customized solutions. Look for someone who cares for you, not just who gives you the lowest price. Quit trying to save pennies and concentrate on saving lives. Greetings everyone, this podcast recorded while working in Menomonie, WI. For the podcast this week I’d like to share an article I wrote that was published in the September 2011 edition of BIC Magazine. 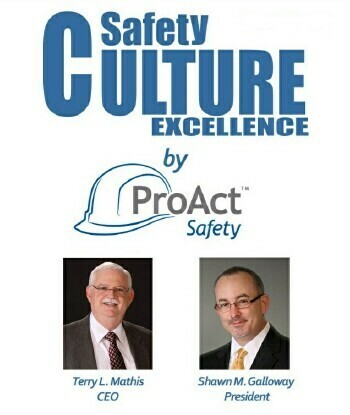 It was titled “Five Steps to Sustainable Safety Culture Excellence”. The published article can either be found at www.BICALLIANCE.com or under Insights at www.ProActSafety.com.